I cannot tell whether this project, out of the Hong Kong Baptists University Academy of Film, is a short or feature length. It screened at the Hong Kong Space Museum Lecture Hall back in June, and since it revolves around China sending the first man to Mars, I thought it would be a funny follow-up to that horrendous Red Dawn trailer. Be warned, the CGI isn't that great, but again, it's a student project. In a selection process run by the Chinese government from 2018 to 2020, Ho Wu is chosen among many other soldiers to land Mars. He is proud to be chosen as the astronaut for the Mars landing mission, which the entire world will be watching. In year 2021, Wu embarks on his journey to Mars on the spaceship Firefly. 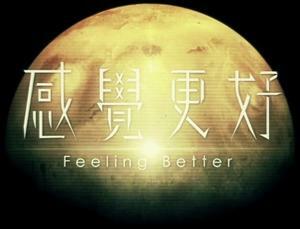 During his journey to Mars, Wu regularly sends video footage and reports to base, together with daily audio recordings. After 500 days, with the nation's expectation on his shoulders, Wu successfully planted the 5-star Flag of China on Mars.At that moment, a mission that heavily relates to the survival of the nation has started.